First Grade Fever! 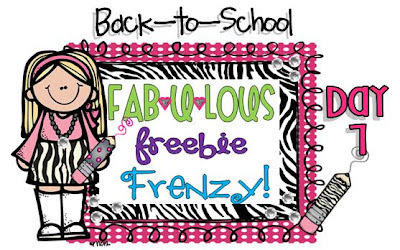 by Christie: Day 7...FAB*U*LOUS Freebie Frenzy! Today is the last day of the FRENZY! Kinderglynn & First Grade Fever! I'm really excited to feature Donna from Kinderglynn today! She is a super-sweet friend that creates awesome teaching materials! 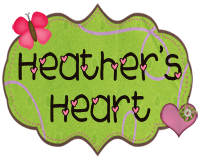 Check out her super-cute FREEBIE! 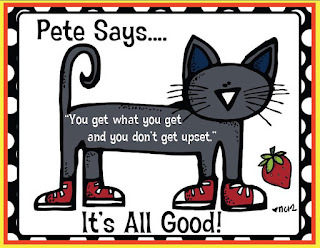 Donna made these ADORBS Pete posters with 3 different sayings, on 3 different borders...take your pick! I've already laminated mine & added some cutie patootie ribbon! LOVE that cat-thanks Donna! Click any of the pics to grab the entire set of Donna's posters! 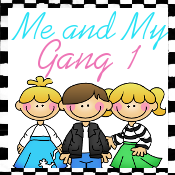 And I also have a lil back-to-school FREEBIE to share with you. 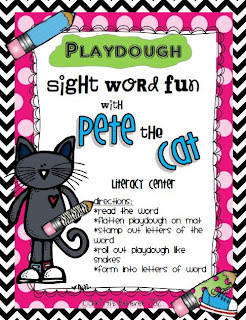 I've got lots of Pete the Cat activities planned and I'm using this fun Playdough center at the beginning of the year to review sight words! Hope your kiddos love it! Click the pic to grab my lil FREEBIE! Enjoy! I want to give a SUPER BIGGIE shout out to all of the FAB*U*LOUS FEATURED BLOGGERS that made this back-to-school Freebie Frenzy possible. Y'all ROCK! 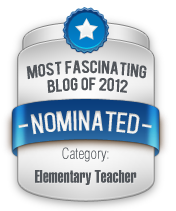 Be sure to check out each of their FAB blogs! Thanks so much for stoppin' by to check out the frenzy-hope you have a super year! Thank you so much for all of the cute freebies this past week! So let me try that again! Thanks so much for the cute playdough center. 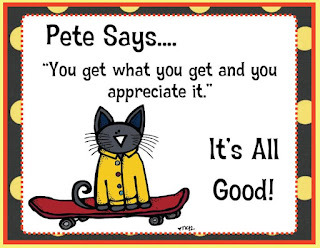 I just bought your Pete the Cat set from TPT. As always it was awesome! I stumbled upon your blog recently and it is fabulous! I'm moving from 3rd to 1st this year and your ideas have been so helpful - THANK YOU for sharing! Good luck this school year!! I just found your awesome sight word mats, where can I get them? I'm interested in knowing too. Sorry that I cannot answer the question, but I'd love to hear the answer as well. I Can Be a BUCKET FILLER Craftivity! 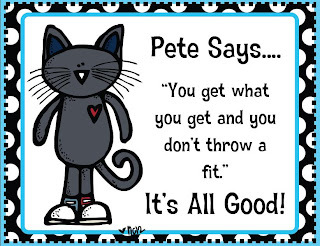 The Groovy Cat Unit & a HUGE Sale! 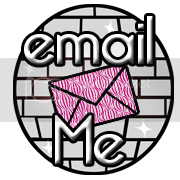 Blog designed by Miss Snowden with Go Go Disco Girl from Melon Heads and other elements from My Grafico. All blog posts are the intellectual property of the author, and are protected by international copy. Simple theme. Powered by Blogger.